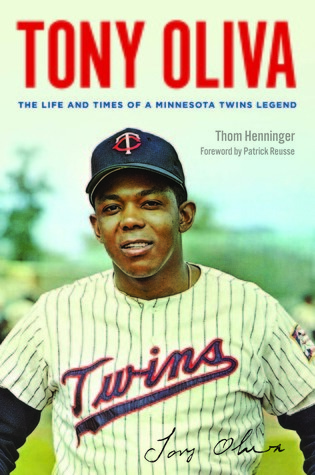 With unprecedented access to the very private Oliva, baseball writer Thom Henninger captures what life was like for the Cuban newcomer as he adjusted to major league play and American culture—and at the same time managed to earn Rookie of the Year honors and win the American League batting title in his first two seasons, all while playing with a knuckle injury. Packed with never-before-published photographs, the book follows Oliva through the 1965 season, all the way to the World Series, and then, with repaired knuckle and knee, into one of the most dramatic pennant races in baseball history in 1967. Through the voices of Oliva, his family, and his teammates—including the Cuban players who shared his cultural challenges and the future Hall of Famers he mentored, Rod Carew and Kirby Puckett—the personal and professional highs and lows of the years come alive: the Gold Glove Award in 1966, a third batting title in 1971, the devastating injury that curtailed his career, and, through it all, the struggle to build a family and recover the large and close-knit one he had left behind in Cuba. Nearly forty years after Oliva’s retirement, the debate continues over whether his injury-shortened career was Hall of Fame caliber—a question that gets a measured and resounding answer here.